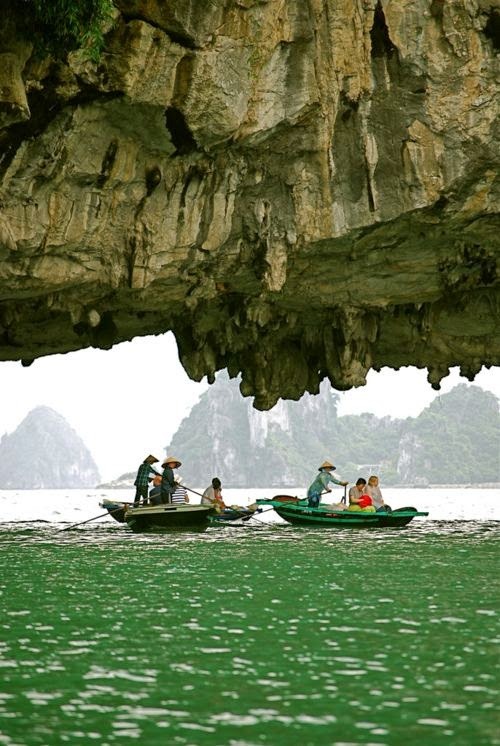 Super quick Northern Vietnam tour is special designed to visit North of Vietnam within 06 days only. It covers the highlights such as: the stately Hanoi capital city and the magnificent Halong Bay and the colourful of Sapa hill trible. The trip allows you to maximize our visit during such short time, however it will give you a chance to discovery a really life in the North of Vietnam. Continue to visit the Temple of Literature (Quoc Tu Giam) – Vietnam’s first University constructed in 1070. Its gardens and well-preserved architecture offer a relaxing glimpse into Vietnam’s past. Have lunch at local restaurants. Proceed to visit the Ethnology Museum. 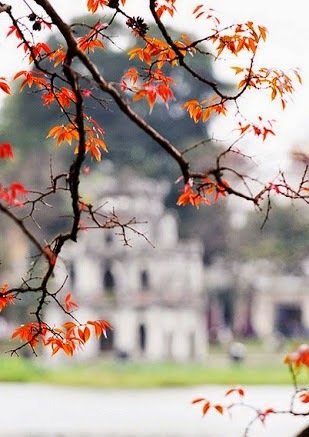 After that we will take you to Hoan Kiem Lake, see the peaceful water, and visit Ngoc Son Temple. An hours cyclo tour around the bustling old quarter to experience ordinary life in Hanoi. In the evening, around 20.00, Our tour assistant pick up from your hotel to go to Tran Quy Cap train station. He will lead you to your cabin on the train. The train departs and sleep the night on train. Travel time approx 9 hrs. After breakfast and a morning shower, we will walk from Sapa towards Muong Hoa valley where we can admire magnificient landscape. 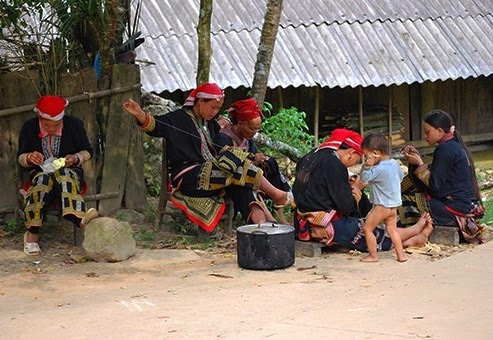 Here you will discover the wonderful scenery of Hoang Lien moutain ranges amd meet Black H’mong tribes. Trek through terraced rice paddies and minority villages along the Muong Hoa River, where we can here a nice swim. Here we will experience their daily life then cross over the Muong Hoa River up the mountain to visit Supan village of the H’mong people. We then take the bus back to Sapa. Take a fresh shower in the hotel before heading to Lao Cai train station for the night train back to Ha Noi. In the afternoon, Swimming or kayaking activities to explore the untouched area in LanHa bay. Visit Monkey island. 15:30, Check in the Deluxe Bungalow on Nam Cat island – Catba Sandy Beach resort. Free time for kayaking and swimming in private island. Your leisure time to relax & swimming. Train tickets Hanoi/LaoCai (Sapa) return.